Atlanta Album (This Ain’t Baltimore) is on loan to the Mills Senior Multi-Purpose Center for the summer. The Center is located at 515 John Wesley Dobbs, Atlanta, GA.
Atlanta Album (This Ain’t Baltimore) is my personal masterpiece (although I cannot seem to get a great picture of it). 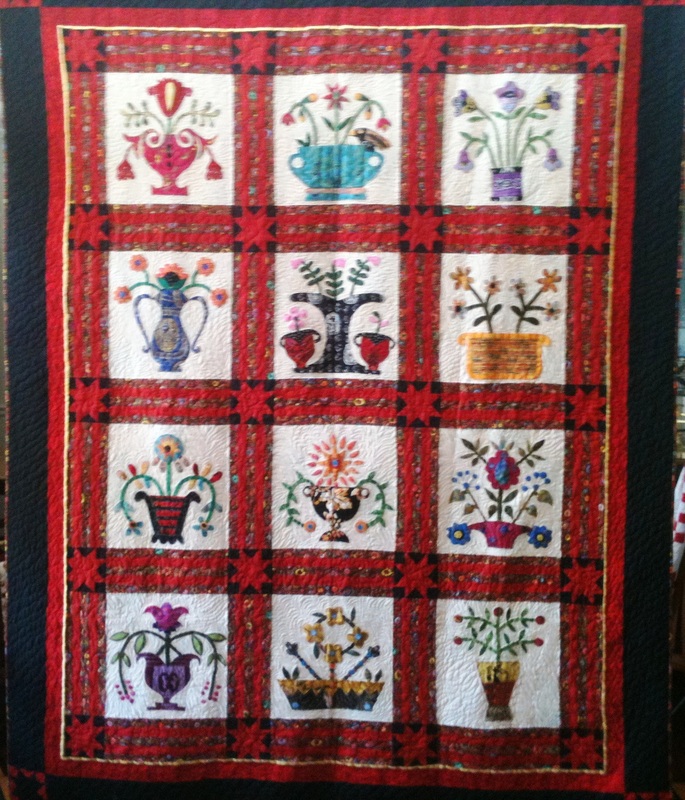 It is one of two of my quilts featured in the book Georgia Quilts — Piecing Together A History. This entry was posted in A Quilter's Life, Places to See My Quilts and tagged African American quilter, Atlanta Album (This Ain't Baltimore), fabric art, Helene S. Mills Senior Multi-Purpose Center, O.V. Brantley. Bookmark the permalink. This is beautiful. Yours speaks of our people. It is so free. Other Baltimore quilts see rather tight and sterile, and don’t hold my interest, This is so uplifting.